in brief a real cosy nest. 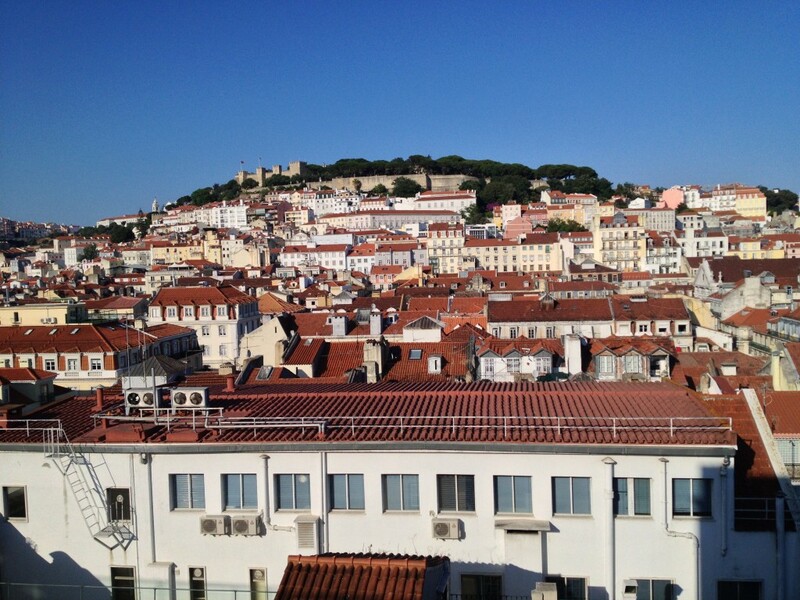 To reach this rooftop, you need to cross the hotel do Chiado, take the elevator direction the 6th floor, then turn to your left and then, here we are ! 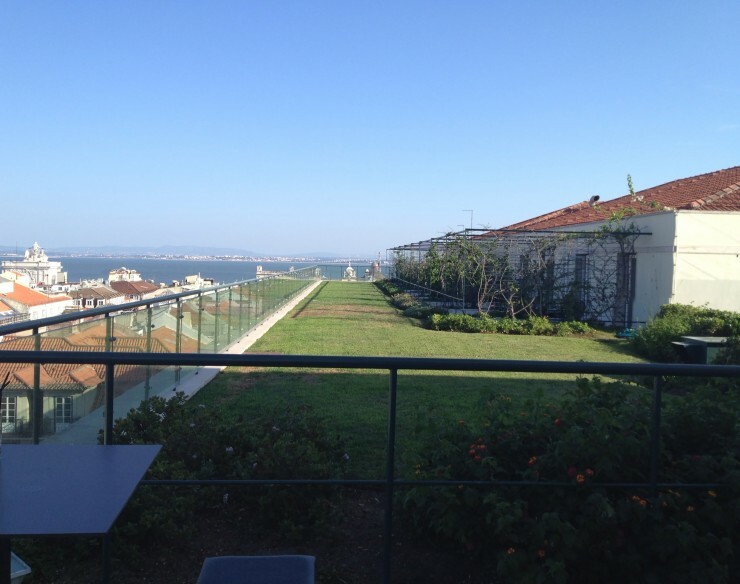 The view of this rooftop terrace is magnificent, we perceive the castle on the left and the Tagus on the right side. Well of course, for you who read these lines, it does not seem to be a special place to consider but actually, it is cool. 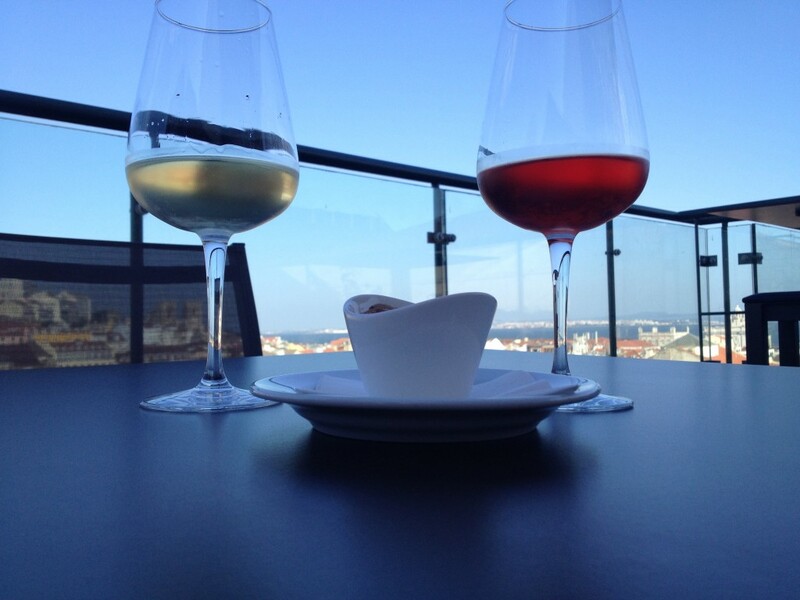 The waiter is really nice and does not hesitate to take time to describe us wines as well as snacks (simple but good ones), that you can enjoyed for reasonable prices.